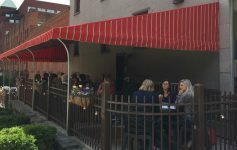 Adirondack Tire Is Giving Away A FREE Set Of Tires To One Lucky Winner, Just In Time For Winter! Welcome to November, when the temperature drops, the snow flies, and the roads get slick. What better way to welcome the changing season than to set your car up with a new set of tires? 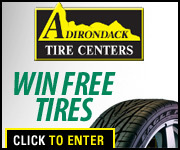 Well, this fall Adirondack Tire is going to make that a lot easier for one lucky winner. Enter to win the giveaway, and you could be the winner of a new set of tires! It couldn’t be easier to improve your ride, so enter today! With the largest tire inventory in the northeast, Adirondack Tire will certainly be able to fill your needs. Did you know that all new tire purchases come with FREE tire mounting, FREE balancing, FREE valve stem, FREE puncture repair for the life of the tire? Hurry if you want to get in on the chance to win free tires, the giveaway is ending soon! ENTER HERE TO WIN FREE TIRES!